Pleating is the most ardous and boring step in smocking, unless you have a pleater. This is simple: join the dots and pull the thread. 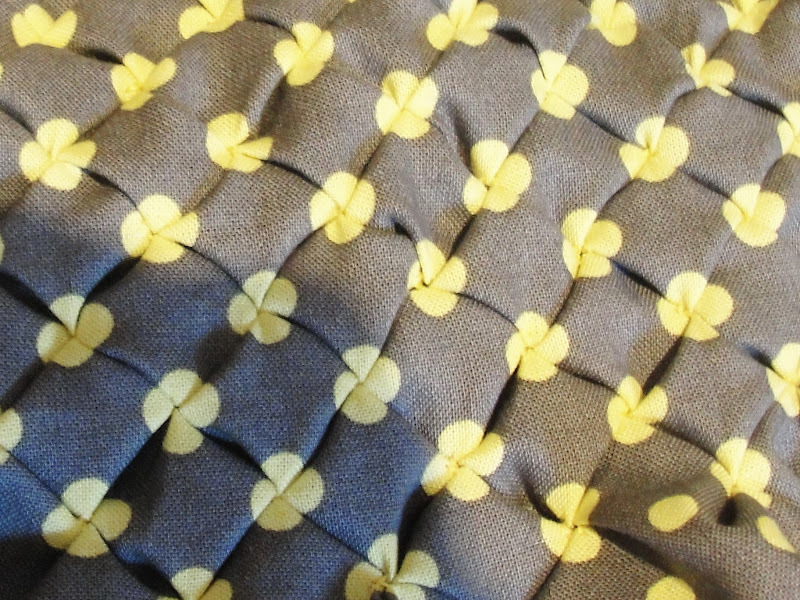 Lovely little flowers are formed and your fabric is pleated at the same time. Spectacular result from the humble polka dot! I love it, although I'm not sure I'd have the patience to try it myself!